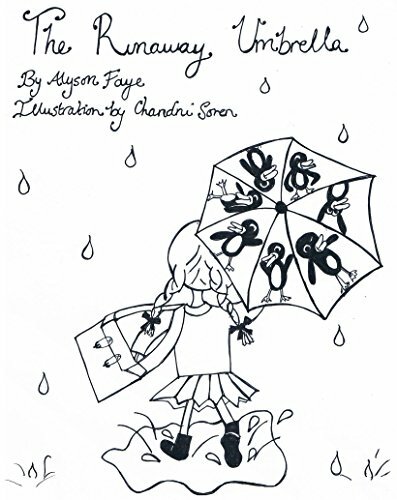 The Runaway Umbrella has a page at BookHippo…. Yes BookHippo has the book listed at http://bookhippo.uk/?asin=B072KY9C7V with the cover image and some bio about me. If you click on the Kindle button it will take you to the amazon page to download a sample or to buy the e book. Magic huh! I am really pleased to complete this project and get the book out there. Now I can move on to think about a) my upcoming Flash Fiction collection with Chapel Town Books due out fairly soon; b) what my next project after that is going to be? Possibly a YA novel set in Edwardian times in Bingley where I live. Having learned a lot about KDP recently, I feel tonnes more confident about uploading say a collection of short stories (all text no illustrations) on my own without the huge amount of input my tech wizard husband has given to the Umbrella project. lots of good news writing wise this Easter- over the bank holiday weekend we’ve successfully uploaded ‘The Runaway Umbrella’ via Amazon KDP- as a draft, it will go on sale at www.amazon.co.uk on Saturday 22 April. Thanks again to blogger/writer Patsy Collins https://patsycollins.uk/ for the heads up via her blog for this free comp. Three Drops Press has put their web journal (issue 14) out online and it includes my story ‘Belladonna’ – you have to click and flick through the interactive journal to read. Three Drops and their editor Kate Garrett have been a really supportive lovely website/publisher to deal with – always prompt too. yep things are revving up big style after a lull- I’ve had 2 stories accepted for pub- one from horror press wwww.jitterpress.com who’ve accepted a longer version of my Gothic story ‘Mother Love’– and Digital Fiction Publishing Corp (based in Canada) who were asking for reprints have accepted ‘A Gift for Krampus’ (contract and all). Stuart Conover at\ Horror Tree has taken a drabble of mine for pub in April. I am chuffed. It balances out the rejections I’ve also had lately but don’t publicise as much. Meanwhile back here chez maison Rhodes, husband and I are doing final edits and plan to upload onto Amazon Kindle my story for children ‘The Runaway Umbrella‘ over the Easter break. This project has been on the back burner for a few months now. This story I originally sent to Oxford Uni Press many many moons ago and they liked it enough to hold onto it but in the end didn’t publish it. I have rewritten it since, and commissioned some illustrations off a very talented artist/illustrator student Chandni Soren, which look amazing and I am hoping it will be a good combo of her pics and my story. Gill James of Chapel Town Books http://www.chapeltownpublishing.uk/ and me are doing edits of my Flash Fiction collection as well- the stories are now placed in an order with 5 sub sections within the main collection and I’ve got to come up with a title- not that easy to do-. It will be fantastic to have a book of my flash fiction in my hot little hand. I’ve had a rather quiet time of it writing wise lately- but I’ve just heard from www.alfiedog.com editor, Rosemary Kind that she is publishing 2 out of the 3 short stories I sent in to her-The Resurrection of the Reverend Greswold and Never Judge a Book by its Cover which is set in the nearby world heritage site Saltaire and Leeds. I am delighted 🙂 because I’ve rewritten both stories a few times and thought I had improved them; this validates my efforts. I find writing 2-4000 stories hard/tricky – both because of the length and the structuring and keeping it interesting- so I take hours and hours to put one out there. My output is therefore quite small. Patsy Collins, super duper blogger and short story writer, tipped me off about a free Flash Fiction comp at The Third Word (80 words is all you have to nail your tale) which runs bi monthly comps- I’ve had a go with one called Mermaid. I’ve also rejoined the WEA Otley creative writing class run by poet/tutor James Nash after a break of several months. I hope it will re energise my writing juices. The group is supportive and fun, a lovely bunch of people Believe me not all writing groups/classes are like that! I’ve also been reading horror short stories from the magazine Supernatural Tales edited by David Longhorn which you can buy for 99p off amazon kindle or sub to the mag-. The stories are all well written, some are just brilliant, the scope of imagination and chills is wide and effective- it’s my current fave. Here’s a 100 worder :-inspired by me singing Faure in Lancaster Priory on spec- but I didn’t see a ghost that day. Standing at the rear of Lancaster Abbey, together but apart, we absorb Faure into our beings. The white gowned choir’s voices soar as one harmonious entity. Enthralled, you start to float upwards while the Requiem reaches its crescendo. Tugging at your hem, I fail to bring you back to earth. I know the congregation will notice you soon. You hover above the choristers’ heads, mouthing the soprano part you learnt in life. Oh my love, my Joy it is time to let you go. One of the boys looks up, sees your white shroud poised above him, screams and faints.